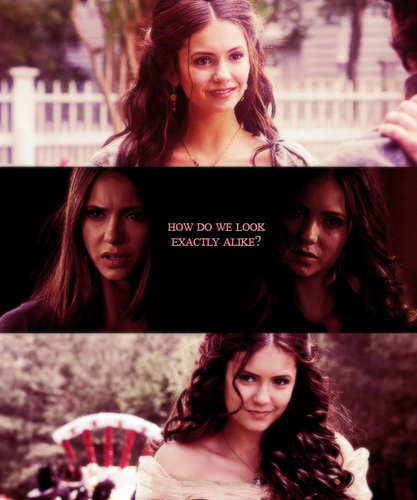 Katherine & Elena. . Wallpaper and background images in the Katherine Pierce and Elena Gilbert club tagged: the vampire diaries elena gilbert katherine pierce nina dobrev. 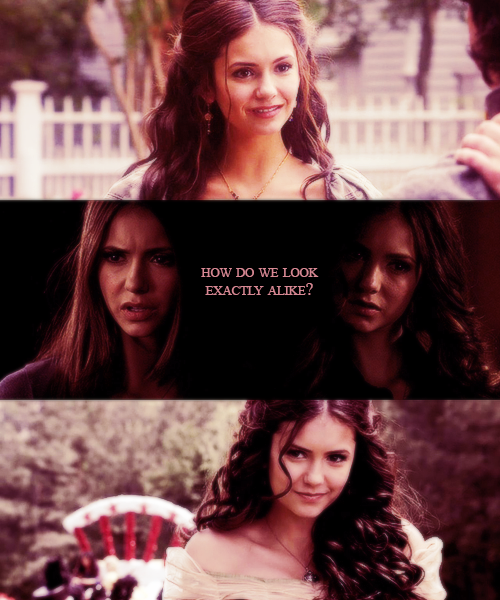 This Katherine Pierce and Elena Gilbert fan art might contain potret, headshot, and closeup.